Look out organic (Whole Foods listen up) for halal is making its way mainstream, even global. Much like quinoa, which I eat about every other day, halal is taking off as the new better-for-you food. 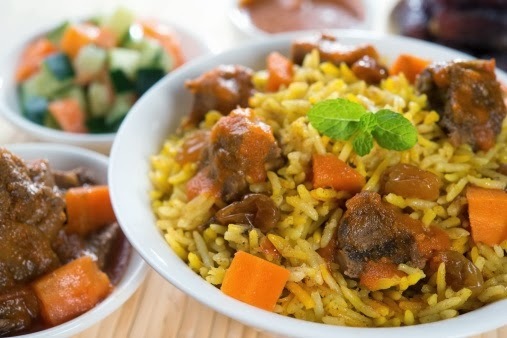 According to About.com, "halal foods are foods that are allowed under Islamic dietary guidelines (refer here to what cannot be consumed). This week an estimated 20,000 Haloodies will congregate in east London at the Halal Food Festival, the world's first gastronomic celebration of halal produce. All of the UK's major supermarket chains are sending scouts to help them find ways to exploit the trend. Attendees can browse food stalls offering anything from hot dogs and sushi to French and Moroccan dishes without worrying how the meat was killed or even transported. Think it's a trend? Find out more here.